Fancy a free preview of Chapter One? Click the image above. In order to uncover crime, the FBI will occasionally go undercover. After all, what better way is there to make someone talk than to befriend them and convince them that you’re on their side? In Ives’ case, that means befriending the lovely Allina, author of The Blood Negotiators, a woman the FBI is positive knows the crime boss they’re looking for. But Ives isn’t happy just getting to know Allina; he wants to make her love him as he loves her, and that’s where this story takes a turn from adventure and intrigue to romance and mystery. 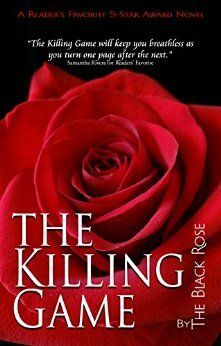 The Killing Game by The Black Rose will keep you breathless as you turn one page after the next. New York City, the backdrop to The Killing Game. The Black Rose takes us into the New York division of the FBI and we meet the protagonist Ives Andrich.